At the moment I muck out my two horses two different ways, but there are loads different options you can use. You need to choose the one that suits you and your horse best and this can mean trying a few things to see what works for you. My Gelding is one of the cleanest horses I’ve EVER come across. At the moment he’s on rubber matting with shavings. Some days he doesn’t wee all night, waiting til he comes out of his box before relieving himself. 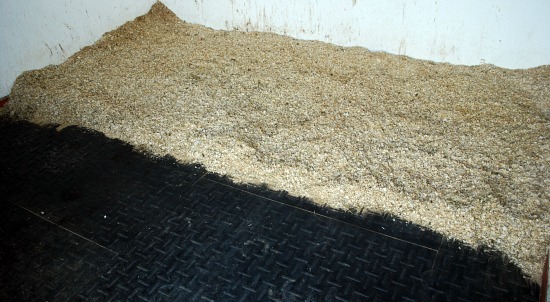 I like rubber matting as it ensures horses get no scrapes, once it’s in it’s in and long term it saves on bedding costs. I muck his stable out by picking up the poos, jiggling the shavings fork about just to get the muck and not waste shavings. If he has had a wee I scrape the clean shavings off the top and then spade out the wet shavings. He’s so clean I also have shavings banks around the walls of the stable. I find this helps regulate the volume of shavings on the bed and some would argue also prevent horses becoming cast. His bed is probably only an inch thick. All finished. You can now see the rubber matting! Some would say controversial. I the moment I’m using this method with my filly. She wees EVERYWHERE and has no matting in her box. I’d hate for her to scrape herself or get capped hocks, hence why I’ve decided to go with this. 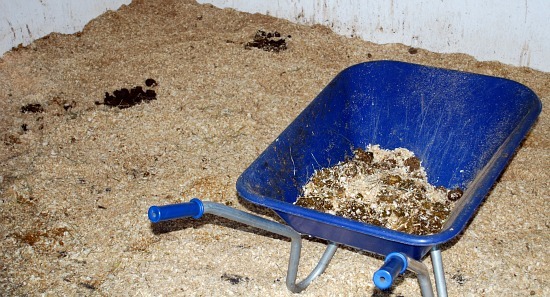 Basically you need LOADS of shavings and pad them down the best you can. Every day I pick up all the poo from the top and sweep any kicked shavings back into the bed padding it back down (nicely she does them all in a big pile for me). Once a week I dump another bale on top. 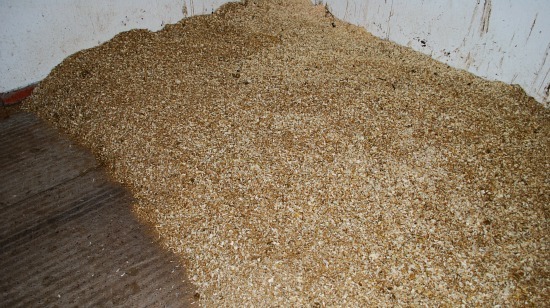 All the wet shavings stay on the bottom creating a solid bed. A few warnings though – periodically you have to get rid of the wet stuff, it’s really gross and takes ages. Also this will not work with a dirty horse. I tried this with another mare and as she stamped her poo everywhere and did them everywhere the bed was always impossible to keep clean. Straw – really nice and always looks like you could bury yourself in it. I can only do it with a hay fork though, shavings forks just don’t work and get bent. Really good for a dirty horse and really economical. If you’re bothered about your health though perhaps wear a mask as the amount of duck and filth you get up your nose is horrific. Also watch your horse ins’t eating the bed – especially if he’s laminitis prone! I’ve only seen this used at the vets and livery yards. It’s basically small squares of corrugated cardboard. Economical – will always look brown though cos the cardboard is and nasty to muck out as the squares don’t really lend themselves to shaving forks or any other implement I’ve found. My gelding was bought from a yard where they used peat beds. Basically it’s soil. I’ve never used it and wouldn’t really know how to tackle it but it was easy for the farmer to re use on the fields. 1. A Shavings Fork – look out for one the right height for you. I’m dinky so have a shorter one than normal. 2. 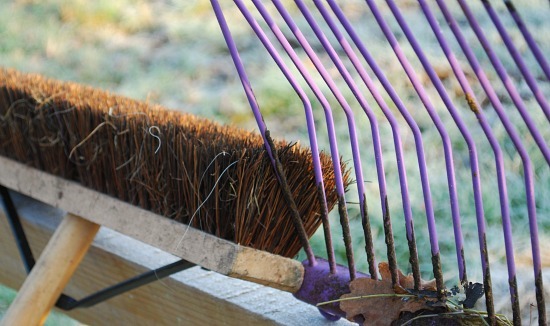 A Good Stable Brush – bad ones just drive you mad.